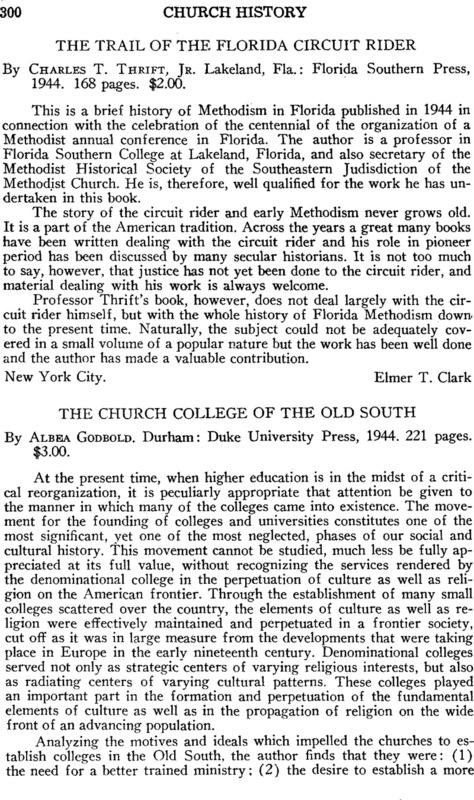 THE TRAIL OF THE FLORIDA CIRCUIT RIDER By Charles T. ThriftJr., Lakeland, Fla.: Florida Southern Press, 1944. 168 pages. $2.00.